1st – HOU Hey Daddy! At long last… here’s a live look at today’s games — schedule and results. The table of information below may be wider than your screen allows. Turn your screen sideways to view the time and location of the game. 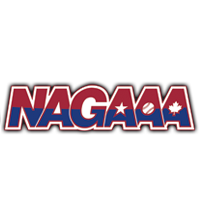 10:20 am — Please see Official NAGAAA Softball page on Facebook for today’s schedule, broken out by division. All games moving to Larson for the day. Radice #1-5 at 7:50am becomes Larson #1-4, plus Stadium as Field #5, at 8:55am. As of 6:25am on Sat Sept 8, we are officially on a one-hour delay. Friday Night Lights on the Stadium field at Randy Larson Park is well underway. We’re watching the B Division Winners Bracket final between FTL Noize and ORL Voltage. It’s a short break overnight before the action moves to Radice Park tomorrow. Championship Saturday gets started at 7:50am. Radice to New Tampa — Drive Safely! THUR 5:50 PM — The great migration from Radice to Greco is underway. If you’re one of the games cut short by the last weather delay, do not worry about forfeiting your game because you’re not at New Tampa by a certain time. We’ll be queuing games to begin as teams arrive and building a schedule for the night when it becomes more clear we have all teams onsite. Let’s have fun and make the most of this unusual circumstance. We’re starting to publish the full schedule of double elimination games for all divisions. Come back to the page linked below — or use the “2018 Results & Schedule” link from the menu at the top of this page.